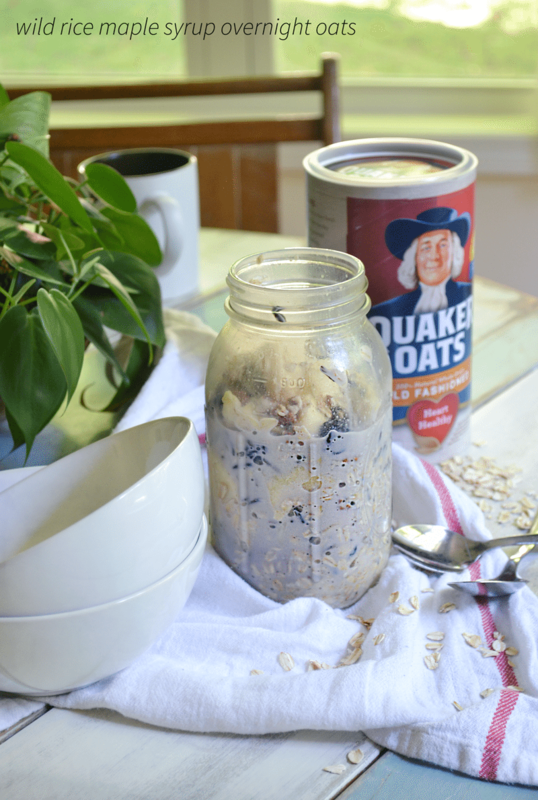 This post has been sponsored by The Quaker Oats Company but, as usual, I only write about what I personally love and care about. All opinions are my own…always. Find our full disclosure here. Some days it’s well into mid morning before I stop to grab breakfast. Every morning this happens I want to kick myself for taking such poor care of my health. I’m a firm believer in breakfast and require my children to eat a great breakfast (which I make for them, ironically) before heading off to school or wherever their busy lives take them. But for myself, there are days when I barely manage a cup of coffee. But let me tell you what I discovered over the summer. Maybe you already have and you are laughing at me and my delay in catching up with the rest of the world. Ha. I’m just glad I’ve caught up at all! 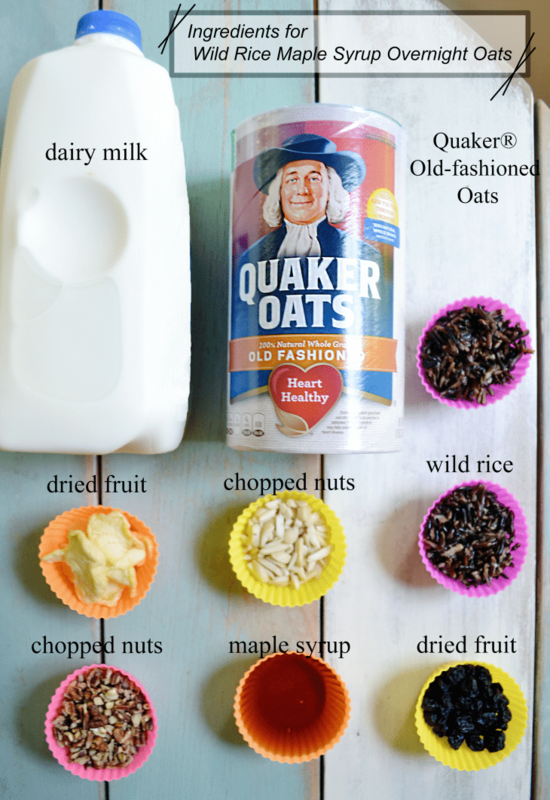 Overnight oats. Serious little miracle recipes that work while I’m sleeping and are ready in the morning with no fuss at all! I take a few minutes before bed to make up my oats for the next morning, pop them in the fridge, and take them out with my coffee the next day. 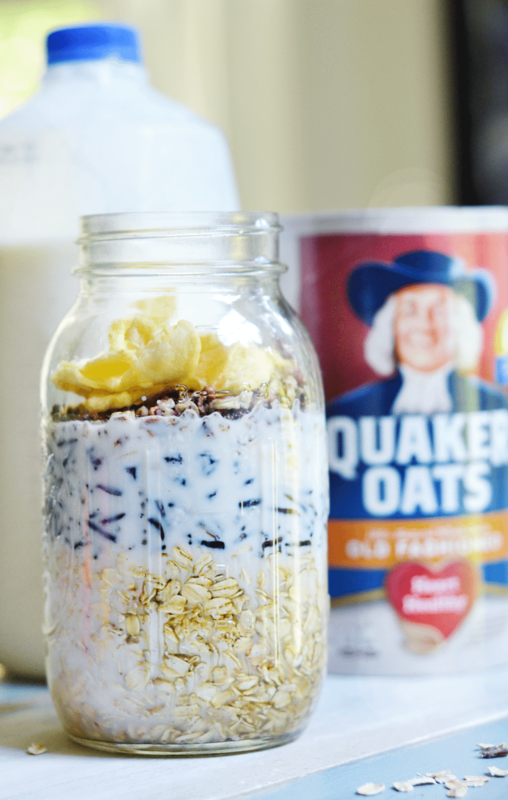 I swear every time I reach for those overnight oats a chorus of angels are singing in my head! 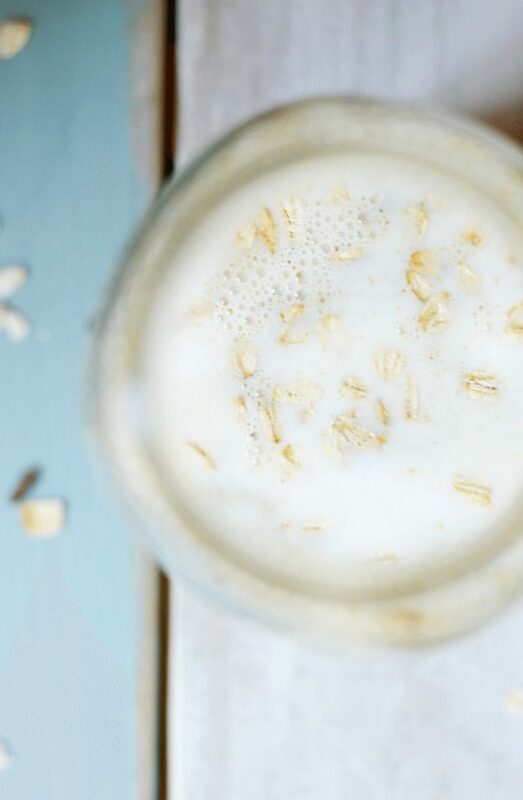 Now, if you are a smarty pants and already know how to make overnight oats in a jar and how awesome they are for your busy lives then go check out my recipe for Wild Rice Maple Syrup overnight oats below and see if you want to try it. It’s a MN recipe full of local wild rice and maple syrup. Now, the beauty lies in what you can do with that basic recipe. Many like to add yogurt either in addition to the milk, or to replace part of it. Almost everyone adds nuts or dried fruit. 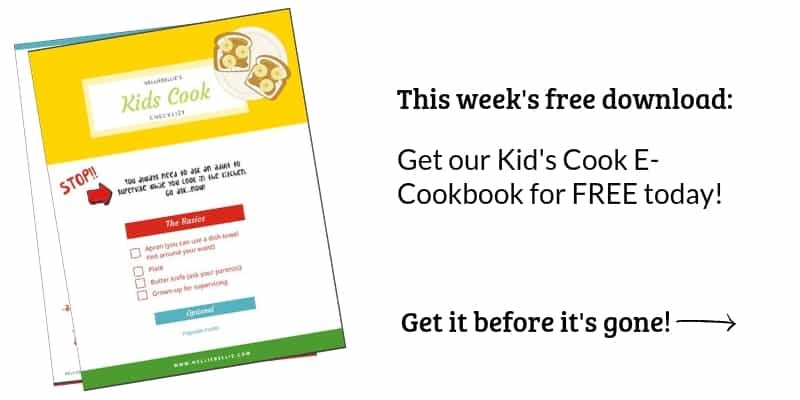 Honestly, you can’t really go too terribly wrong with this recipe and the brilliant part… you can let your children created their own personalized versions that they WILL EAT! Ahhh, see! I knew you would hear that angel choir soon! 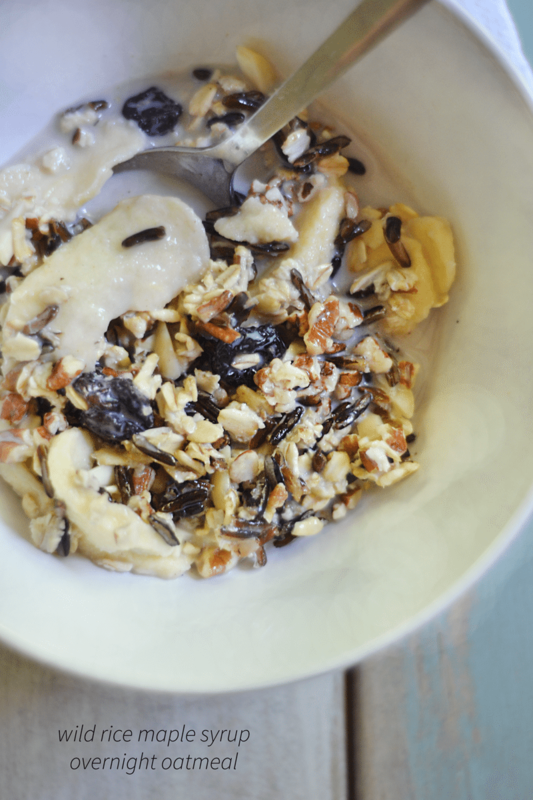 This is my favorite recipe for overnight oats… Maple Wild Rice. I use local Minnesota wild rice and maple syrup, pecans AND almonds, dried apples AND blueberries, and lots of love for a delicious breakfast perfect for a Minnesota morning! In the winter, I like to heat this up a bit. Warm wild rice and oats with a hot cup of coffee is absolute bliss when you look out over the snow and cold. It makes a Minnesota winter feel a bit less foreboding. Bring it on 4 feet of snow! 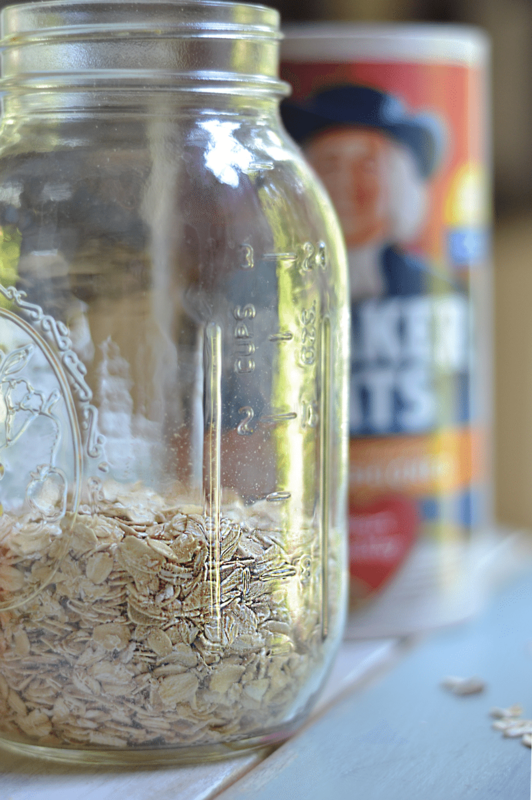 Add all the ingredients into a mason jar. Shake or stir well. Place into the fridge overnight. Serve cold or hot.